Camping in Himachal Pradesh will feel like you’ve been transported to an alternate universe. With the breathtaking views, clean and refreshing air to breathe in, the Himachal region is a camper’s paradise. There are tiny hamlets near Shimla, Manali, and Dharamsala that are some of the popular camping destinations in Himachal. If you’re looking for a soothing escape from civilization, camping in Himachal is your best bet. 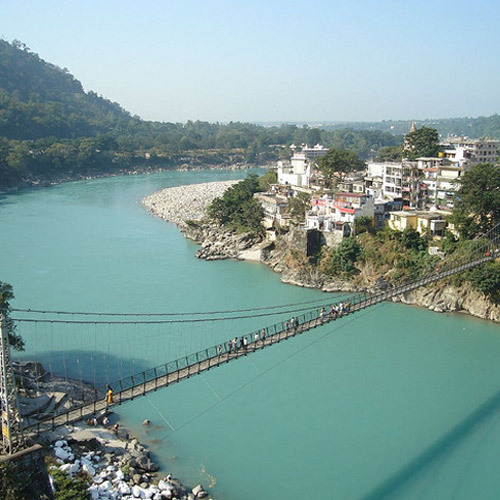 The capital city of Himachal is a mystical land, ideal for a summer camping vacation. If you’re looking to escape the heat during the summers, you should go camping in Shimla. 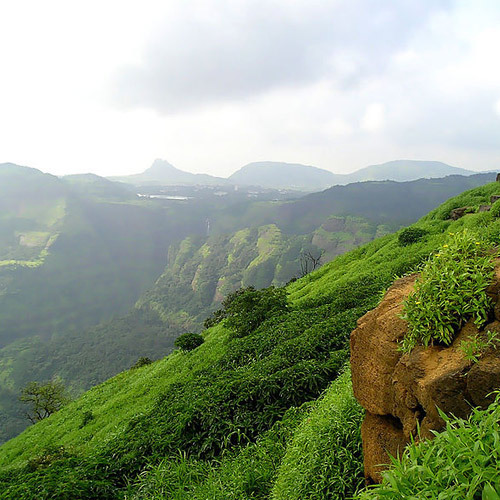 Camping sites here are set amidst tranquil and scenic forests of pine and cedar at 7200 feet above sea level. Aside from camping in Shimla, Manali camping also provides a perfect escape to step away from the heat. A paradise for many couples on their honeymoon, Manali attracts many tourists. Manali camping offers equally splendid scenic views to absorb, but is also a haven for adventure lovers. 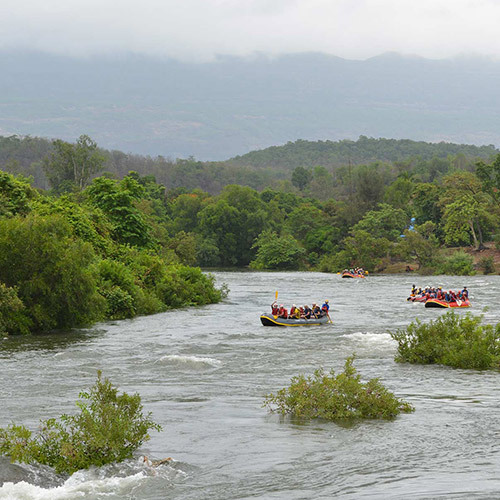 You can head to Beas River to enjoy water sports. If you want to soar high into the skies, spend a night at the Solang Valley trying out paragliding or skydiving. Look for campsites in Kullu if you can’t find anything you like in Manali. 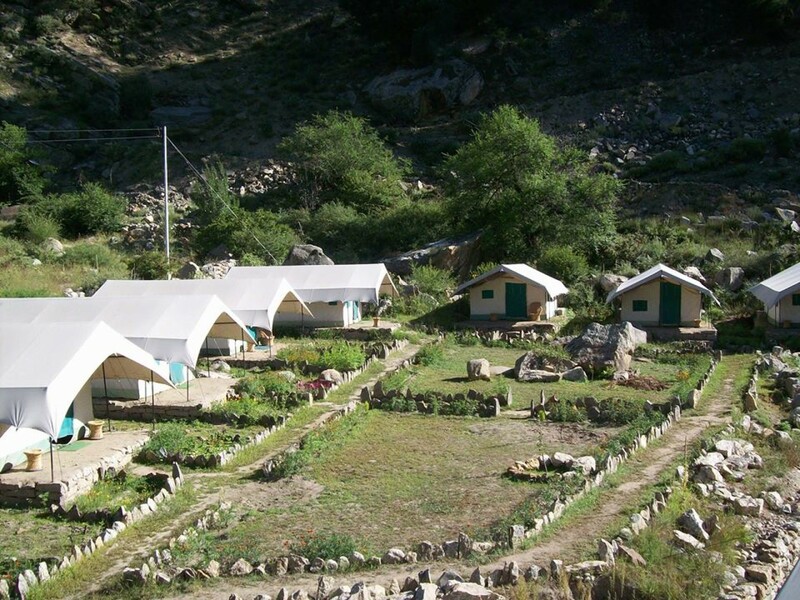 Kullu has some wonderful nature campsites that offer rafting and camping packages. Dharamsala is a small and peaceful town, which lies in the Kangra Valley, at an altitude of 4870 feet. Due to the elevation, it doesn’t make much of a difference camping here in the winters or the summers. This is quickly becoming one of the more popular attractions for camping in Himachal Pradesh. If you’re looking for a real escape from people and civilization, try a trek in Himachal. 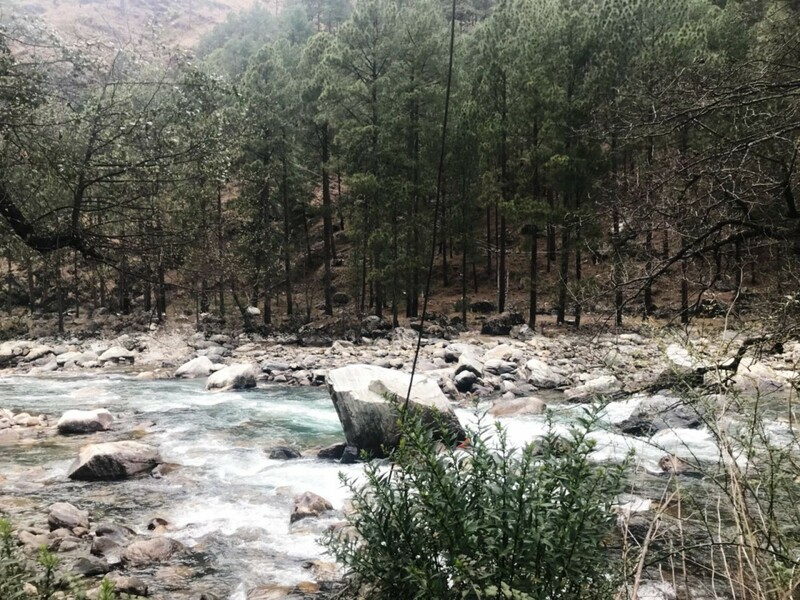 You’ll spend the day walking through pine-scented forests, over sweet grass meadows, past rivers and streams, and up into the upper reaches of Himachal. Every night you’ll camp at new locations, and you’ll spend evenings around bonfires, with the mountains around you and the stars above. Camping in Himachal Pradesh is a serene and wonderful getaway. 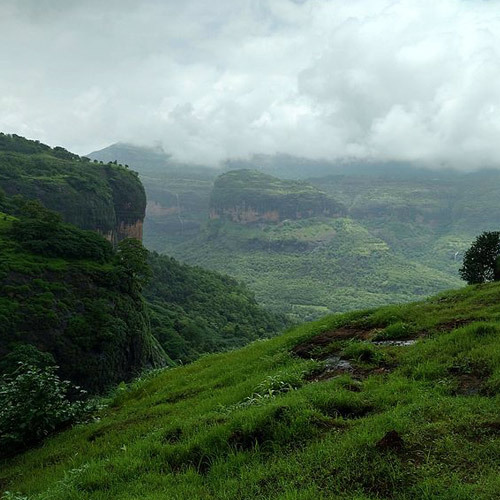 With the summer months coming up, be sure to head on over there from April onwards, before the monsoons start. Winters from September onwards get a little cold to try camping in Himachal Pradesh. For those slightly more adventurous, you can hike up to some of the Himachal trekking camps as well. 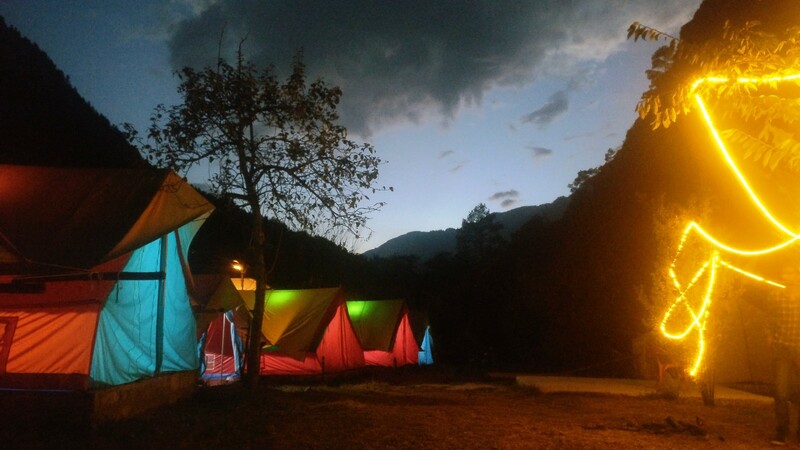 Camping in Kasol is the perfect way to reconnect with nature and revel in the magic of snow-capped mountains in the Parvati Valley. At Kasol, you can explore the hill town dotted with Israeli cafes and shops that are often frequented by travellers from all around the world. At an additional cost, you can also embark on short treks to villages and meadows around Kasol such as Malana, Tosh or Chalal. After a day of adventure or leisure, you'll drift into a restful sleep in tents pitched just a few steps away from the gushing Parvati River. 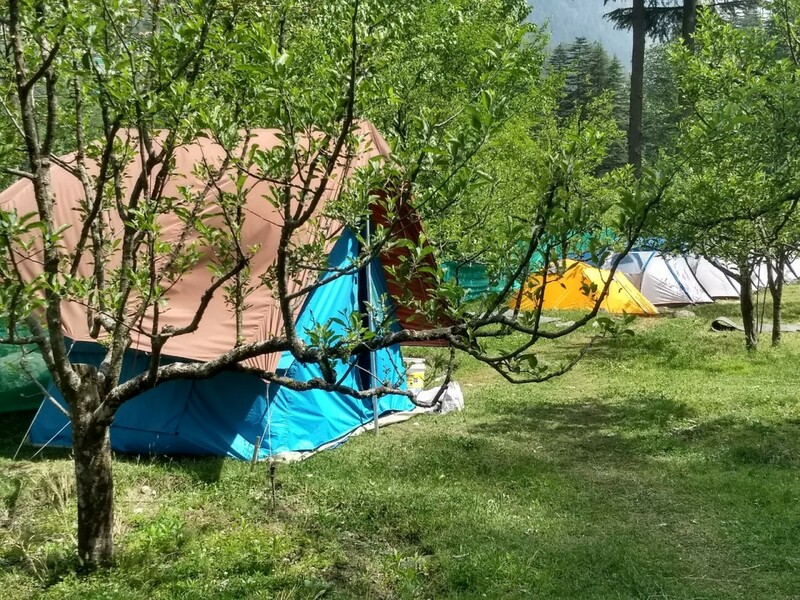 Explore the quaint streets and hidden gems of Old Manali and spend the night camping in Manali at one of the most picturesque campsites around. Wake up to the morning mist of the hill station and relax with breathtaking views of snow-capped mountains of the Indian Himalayas. 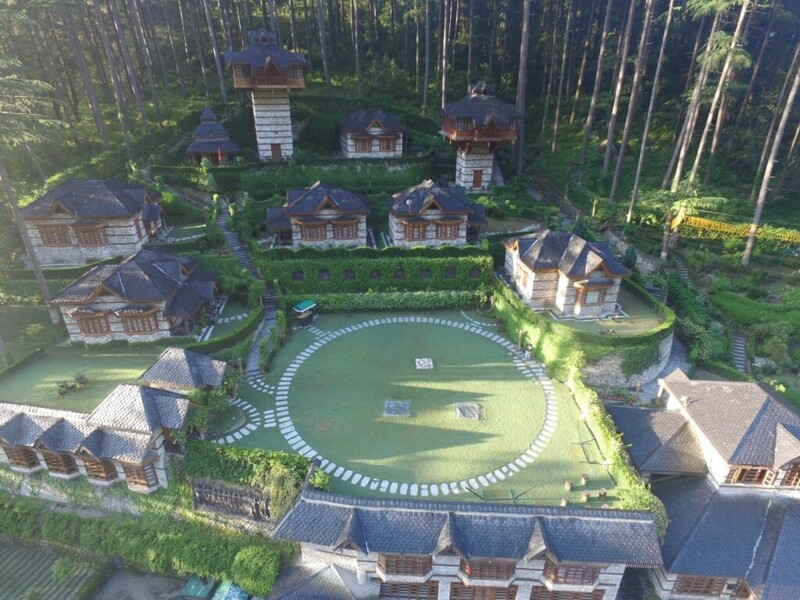 Located at a short driving distance from several of Manali’s prime attractions, you can venture out in the city and explore the natural and cultural wonders of Manali. Visit the ancient temples of Hadimba or Manu and admire the delicate sculptures of ancient India that decorate the temple walls. Shop at the Tibetan markets or the famous Manali’s Mall road and bring home quirky souvenirs. At night, retreat back into vast apple orchards and camp at a stone’s throw away from the Beas River. Chill out at this trippy riverside campsite in Kasol. 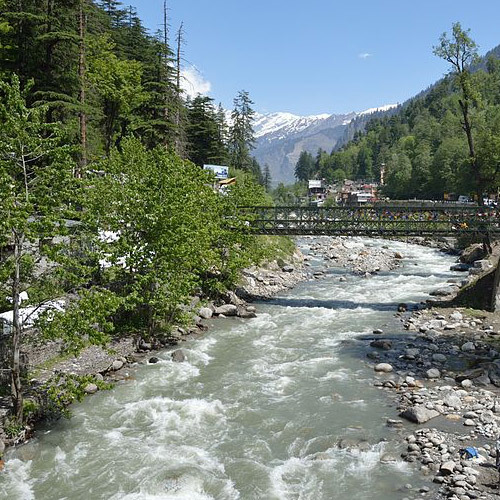 You'll check in to camp in the morning, and then can go for a complimentary hike to Chalal village, passing the shops and cafes of Kasol and heading into the forest. After exploring the pine forests and the views of Parvati Valley, you'll come back to camp, where you'll spend an evening around a crackling campfire with easy music playing. You'll eat dinner on the banks of the river, and then retire to tents for the night. It's the perfect getaway for a gang of friends! Just as the summer heat begins to get unbearable, you'll be packing up and leaving the dusty city behind. Instead of sweating in humid metros, you'll be enjoying the pleasant weather of Himachal Pradesh. Here, the temperatures are at a pleasant 25-27 degrees all day, and can drop to 10 degrees at night. You'll spend your days exploring the green environs of the campsite, as well as trying out adventure sports like rappelling and river crossing, going bird-watching, eating picnic lunches by the river, and ambling down local trekking trails. In the evenings, you'll relax at the campsite as the night gets cold, and retire to bed in cosy tents. It's a perfect summer escape! Personal expenses like mineral water, cold drinks, laundry, etc.